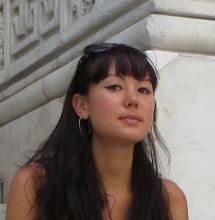 Amanda Hughes is a PhD student within the department of Epidemiology and Public Health at University College London. Her current research investigates associations between current and former unemployment, inflammation and mental health in a middle-aged British population, using longitudinal data from the National Child Development Study. Her wider research interests include: health effects of unemployment, social determinants of mental health, the role of inflammation in depression and depression as a risk factor for cancer.